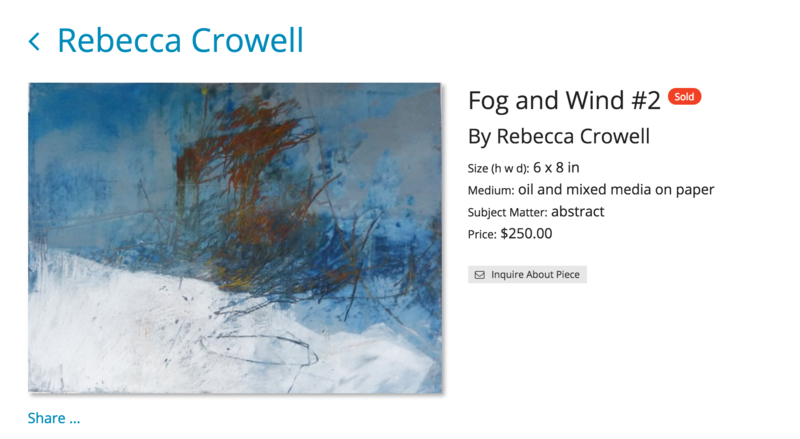 Rebecca Crowell has been a professional artist for over three decades. 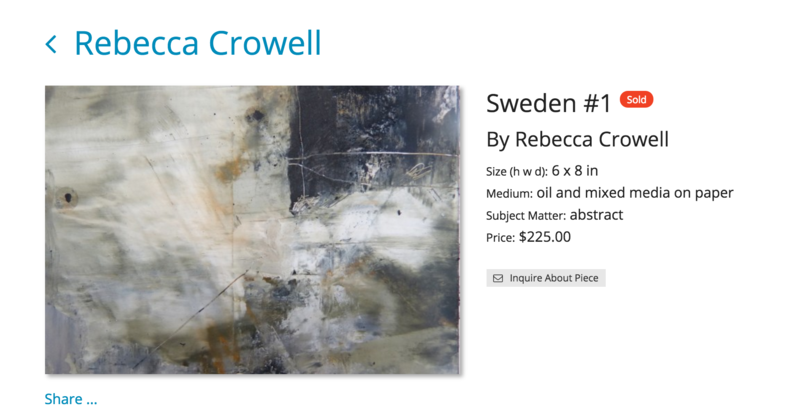 Known for her innovative techniques and abstract imagery drawn from rugged landscapes, Rebecca’s artwork is found in private, corporate, and public collections across the globe. Aside from being a successful art world veteran, Rebecca is an Artwork Archive Public Artist. And she is using her Public Page to its full, profitable advantage. We asked Rebecca to share how she promotes her Page to garner sales and why she chooses to use Artwork Archive as her business management tool of choice. UPDATE: We’ve made the Public Profile even more amazing! Take a look at what’s new. HOW MANY PAINTINGS HAVE YOU SOLD VIA YOUR PUBLIC PAGE? I have sold 18 small works on paper since I began posting to my Public Page a few months ago, from both my "Works on Paper: Sweden" and "Small Paperworks: Ireland" collections. HOW DO YOU PROMOTE YOUR PUBLIC PAGE? I have a link to my Public Page on my website so people can purchase small, unframed works and works from my studio. I post the link on my Facebook page too and I sent it out in my July newsletter. It's also very easy to email the link when I get general inquiries about my work or to direct someone to my page if we are having a conversation about my work and what I have on hand in my studio. WHAT EXTERNAL PAYMENT SITE DO YOU USE? I use PayPal or have my clients mail me checks. WHAT ARE YOUR FAVORITE ASPECTS OF THE PUBLIC PAGE? It's easy to add pieces, and it’s great that Artwork Archive doubles as an inventory tracking system. Also since I don't have prices on my regular website (which is more like a portfolio site) it's great to add this as a sales tool. WHY DO YOU RECOMMEND ARTWORK ARCHIVE? I've recommended the site to lots of other artists. It is unique in being both an inventory database and also a sales site, all in one. Seeing how it works inspired me (with the help of my assistant) to finally get my inventory in order after years of trying various software and spreadsheets–and living with uncertainty about where all of my work was located. Since I work with quite a few galleries, and periodically rotate and change out work, things can quickly become chaotic. I finally feel like I have a handle on this aspect of my art business. Want to Grow Your Art Business and Receive More Art Career Tips? Sign Up for Free Here. Deciding if you should display your art prices? 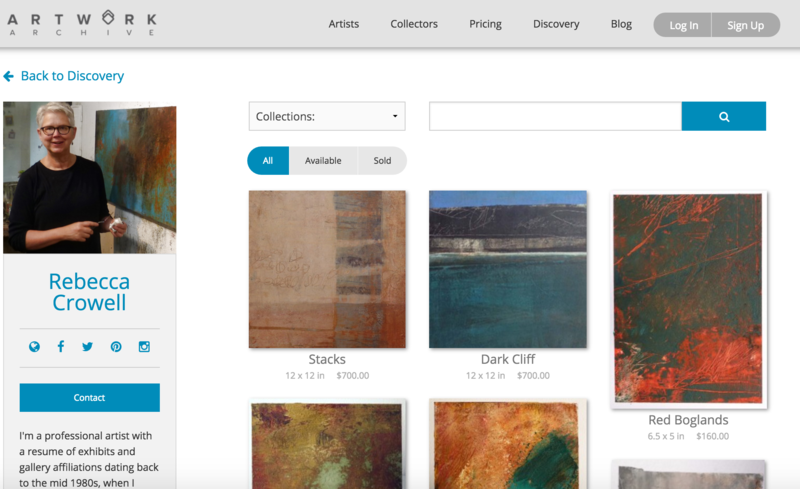 There are a few drawbacks, but it can be an excellent way to increase art sales. Weigh the pros and cons here.